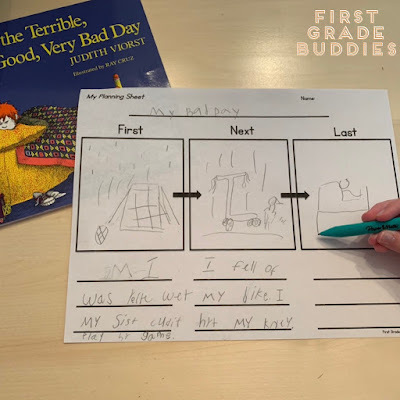 For our first multiple moment story, we write a story called, "My Bad Day." 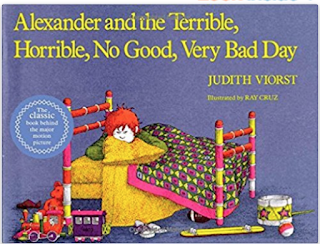 First, we read the book, Alexander and the Horrible, Terrible, No Good, Very Bad Day. This is a great book about a boy that has several bad things happen to him throughout the day. 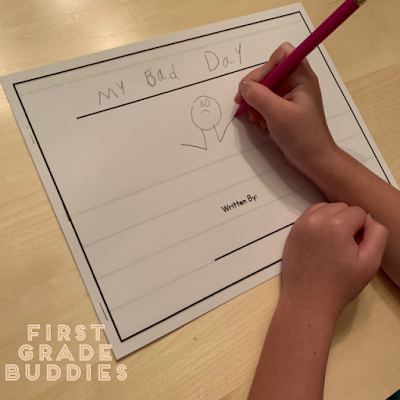 Next, we have students brainstorm about a bad day they've had. 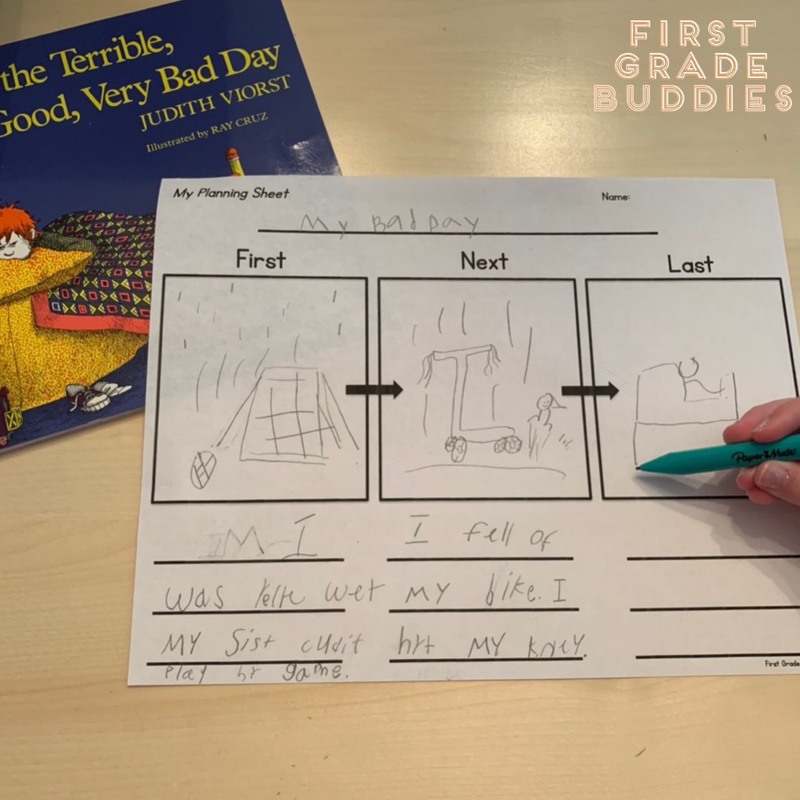 Once they have had a chance to think about a bad day, we have them plan their story on story planning mats. Students start by saying "I had a bad day." 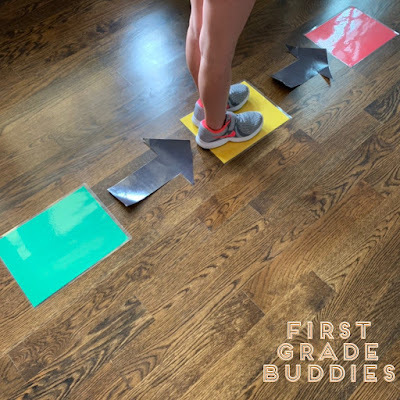 They step on the green and tell about the first bad event that happened. They step off the green square and add a detail about that first bad thing. 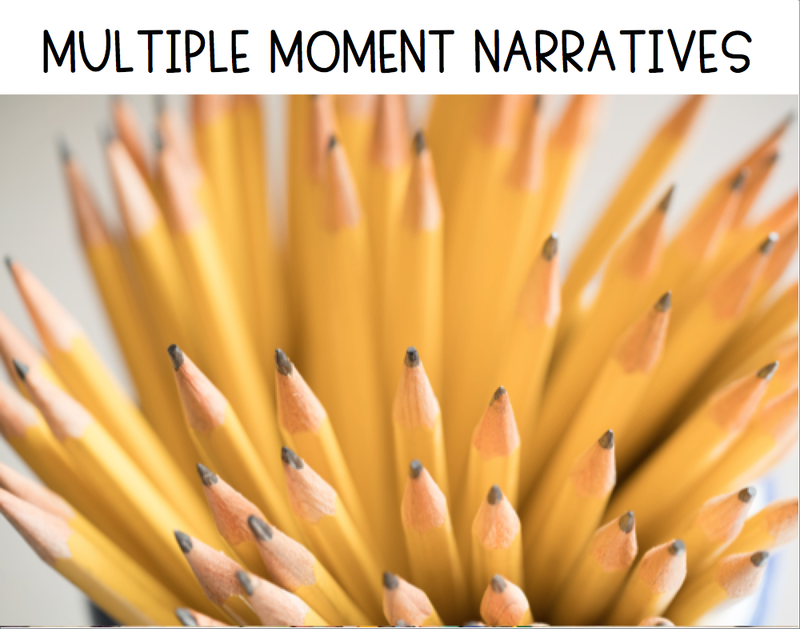 They do the same for the yellow and red story planning mats. When they step off they say something like, "I hope I don't have another bad day." Here is a video to show it in action! Then, we have students complete a planning sheet that outlines the plan they made on the mats. They can draw the event in the box and write the detail on the line. Want this planning sheet? If so, grab it here! Last, we have students write their story in booklet form; 3 pages stapled together vs. a single page. Each page is one event in the story. Want this booklet document? If so, grab it here! If you are teaching narrative writing and you need additional opportunities to teach how to write this style, check out our Print a Standard for W 1.3. 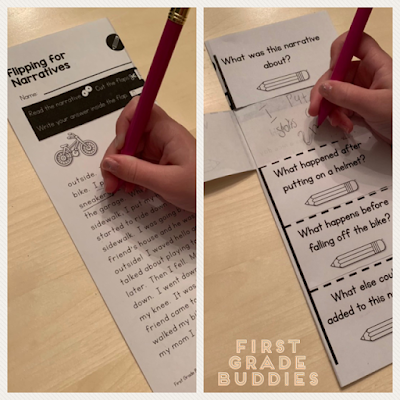 Our Print a Standard packs for Writing standards do not give writing prompts or writing templates, but instead give writers a chance to analyze writing and explore the writing style they are practicing. Each Print a Standard pack has ten activities and multiple activity types!